1ST N WEIGHT LOSS: Which Diet? There is no diet that suits everyone. 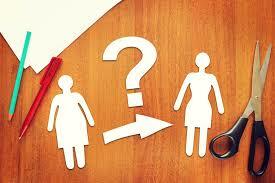 So how will you know which diet suits you best? The hallmark of a modern developed society seems to be people with those ugly bulges. And lots of dieting ads! Okay, let's face it. We will have to live with dieting. The question then is how to do it effectively and safely. Dieting refers to regulated food intake to satisfy a short-term goal: losing weight or adding it. Diet refers to the food items that form the dieting process. We as humans need essential nutrients such as proteins, fats, carbohydrates, vitamins, and minerals. A well-balanced diet must meet these nutritional requirements or it could threaten general health and physical fitness. The diet must make the person healthy enough to be active and still provide only enough calories that can be burned away in the course of a day without it accumulating as fat. Remember not every diet works for everyone. That is because there are metabolic differences between individuals. The challenge is to choose a diet that works for you. This you can do only with the help of a physician. Diet pills are quite the "in thing" among health-conscious individuals. Some diet pills are associated with comprehensive dietary programs. However, these diet pills, especially the ones containing vitamins and minerals are not effective weight-loss tools for everyone. Some medicines cause short-term weight loss, but the loss is normally accompanied by dangerous side-effects. Diet drugs can be classified into diuretics and stimulants. Diuretics induce water-weight loss, while stimulants such as ephedrine increase the heart rate and reduce appetite. These drugs can also cause kidney and liver damage. The stimulants increase your risk of sudden heart attacks and also cause addiction. Exotic dieting patterns are not just ineffective, but dangerous as well. Starvation diets are undertaken by many to gain that perfect physique - the lean and athletic one. You know the look. But these diets are normally counterproductive. Yo-yo dieting refers to alternating periods of feasting and famine. It too is quite ineffective. When you starve, the body responds by decreasing metabolism. When you begin consuming food again, the food gets stored as fat. These adjustments leave the dieter feeling lethargic and fatigued. Certain medical conditions require special diets. A diabetic person is put on a diet for managing the blood sugar level, while mild hypertension is partly cured by following a diet of fruits and vegetables and a diet low in fat and sodium. The hypertension diet could focus on weight loss, if controlling blood pressure is necessary. Celiac disease patients follow a gluten-free diet, while people with kidney disease are required to follow a low-sodium diet to lessen the load on the kidneys. Lactose-intolerant people leave out milk products from their diet. Many diets include medicinal plants. These herbs include leaves, bark, berries, roots, gums, seeds, stems, and flowers. They come in the form of tablets, capsules, liquid beverages, bark pieces, powders, tinctures, fluid extracts, creams, lotions, salves, and oils. These medicines include herbal products which are available over-the-counter or at health food stores. However, it's always better to consume medications prescribed by doctors and provided by pharmacists. Go on a diet if you need to. But play it safe, and do it in consultation with your doctor. And remember, if one diet does not work for you, it doesn't mean you have failed. You could still find a diet regimen that will work wonders for you!